It is without a doubt, one of our favorite childhood past-times. 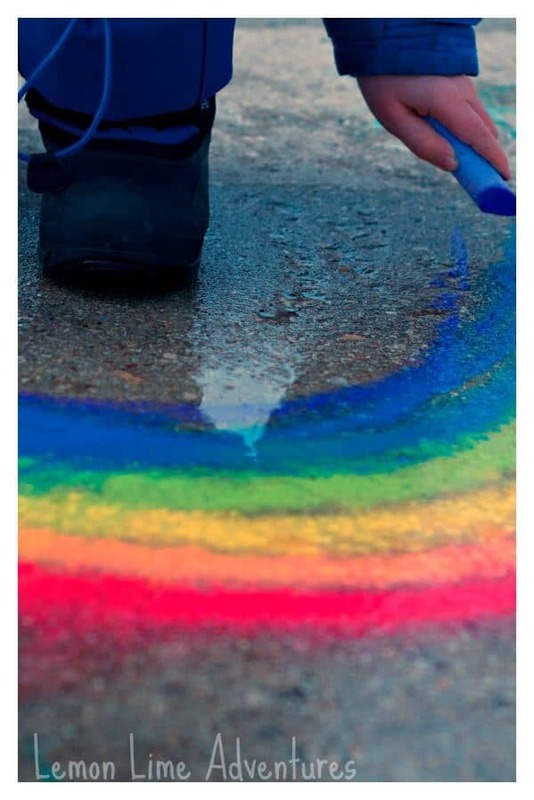 Sidewalk chalk is an inexpensive and fun way to liven up any summertime day! 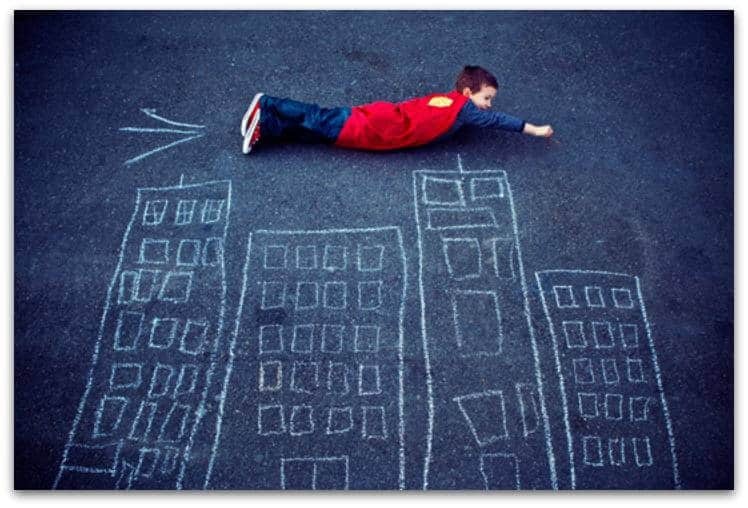 All it takes is a driveway or sidewalk and some chalk, and voila! Instant canvas for your child’s art! Not to mention that it’s super fun for grown-ups to get in on the drawing fun, too! 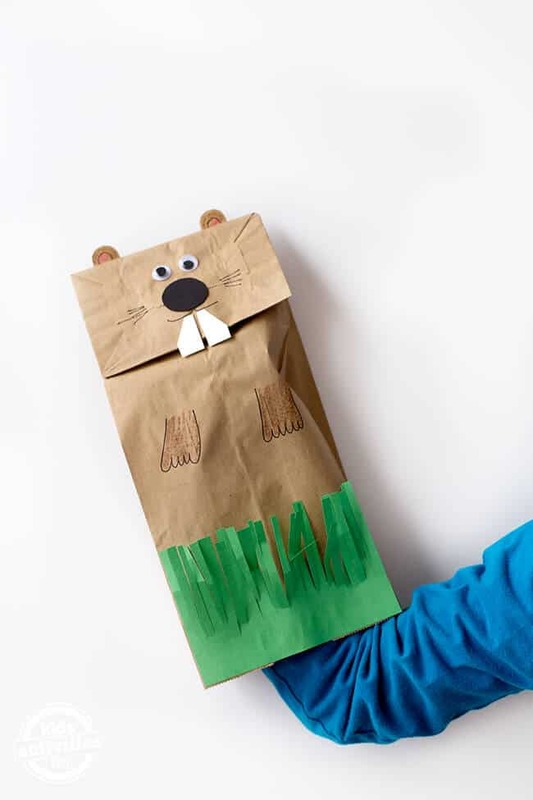 These awesome ideas will grab and hold your child’s interest for hours on end! There is nothing more fun than pretend play. 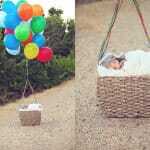 You can be anyone you want! Superman, Batman, Santa Claus, the list goes on and on! 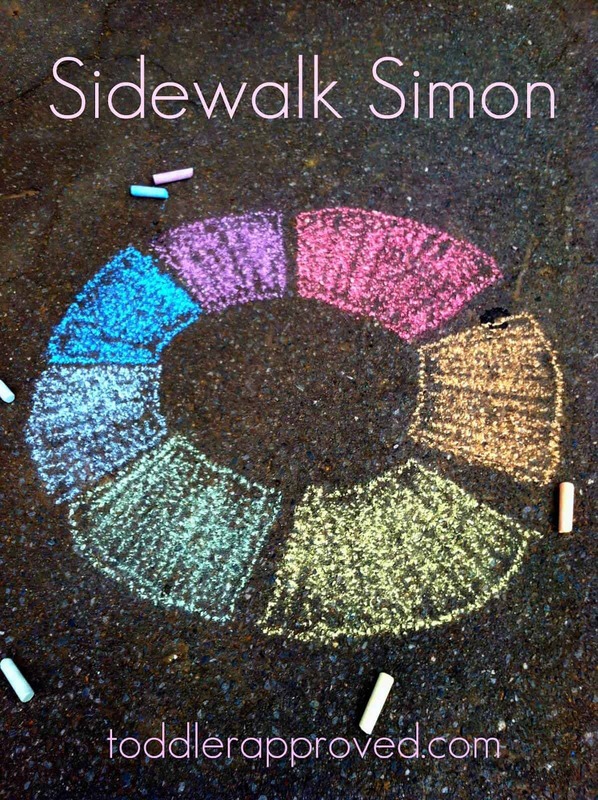 Grab some sidewalk chalk and draw in some props, a background, whatever you can think of! A beloved game from the 1980’s, Simon was just as much a hit entertainment game now as it was then, for both children and grown-ups alike. But this life-sized version of the memory game gets your kids outside and moving! 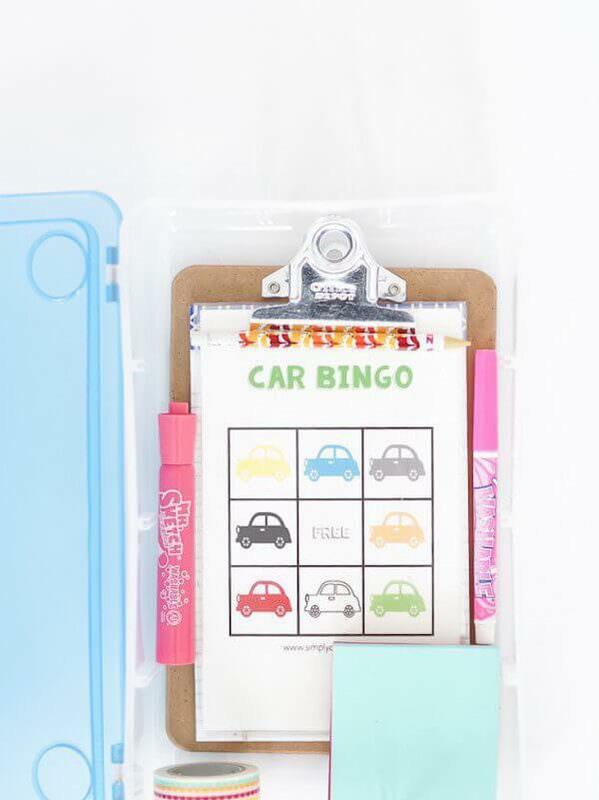 Have your children pick out their favorite colors, draw up a Simon board, and then shout out colors, and your kids jump to them. A fun and educational game! Want to play badminton, tennis, volleyball or any other outdoor game that needs a court, but don’t have the room in the backyard for one? Draw one up in the driveway! 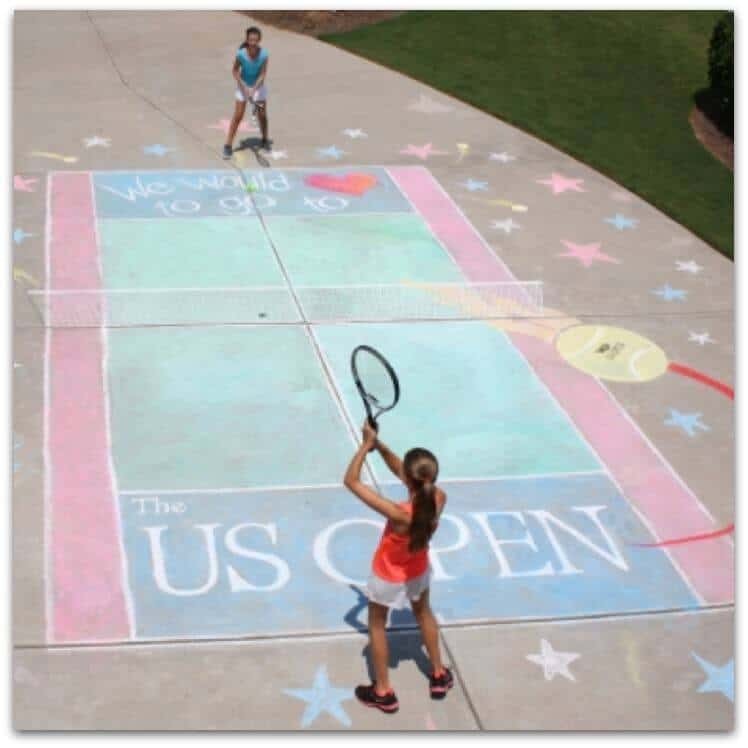 Sure, it may take a little while to draw the court, but just think of the look on your kid’s faces when they see their brand new outdoor court! 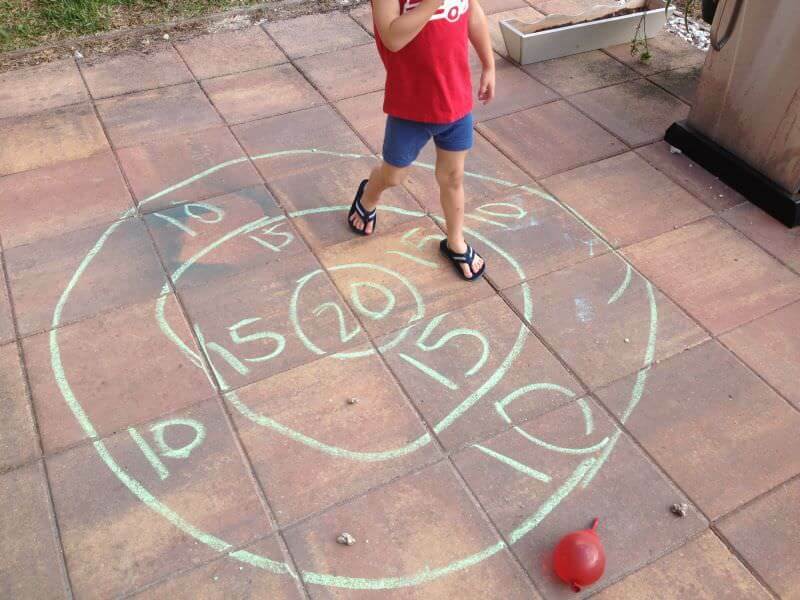 This is an interesting take on the game of hopscotch. Instead of skipping and picking up stones, think of some different activities that your children can do, similar to the ones below. When they land on a spot, they have to perform the action written on that square! Neat, huh? 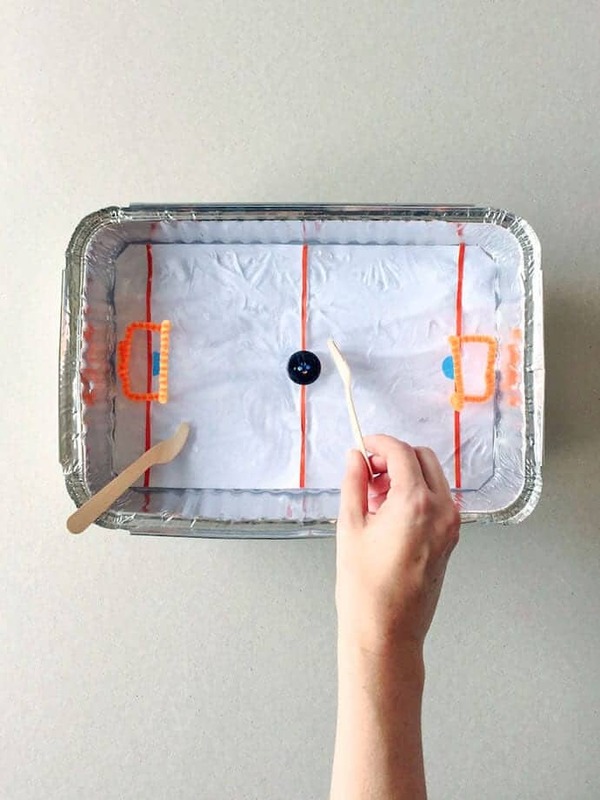 This activity is a great way to tie in science and fun! 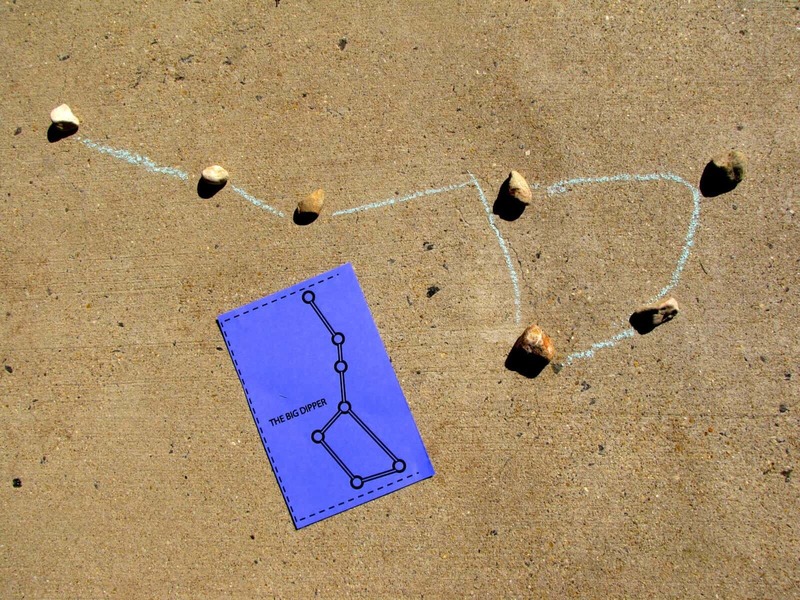 Read about constellations with your children, then go outside and have them draw their favorite constellations! 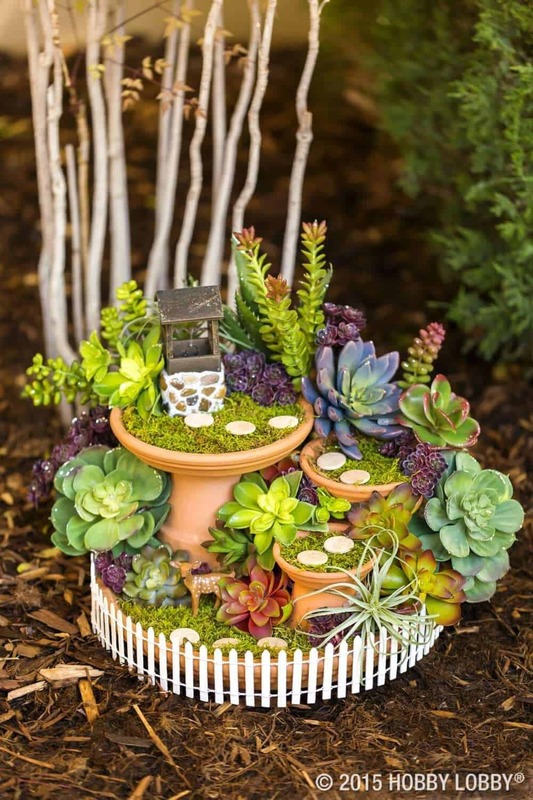 Add some rocks for “stars” and you have your very own galaxy in your backyard! Remember those awesome Spirograph toys from the eighties? 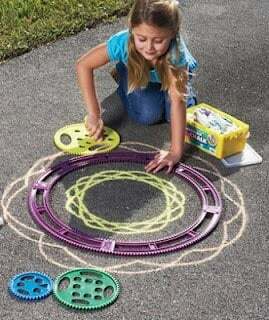 How about putting together some giant Spirograph art on the sidewalk or driveway for some impromptu artistic fun? 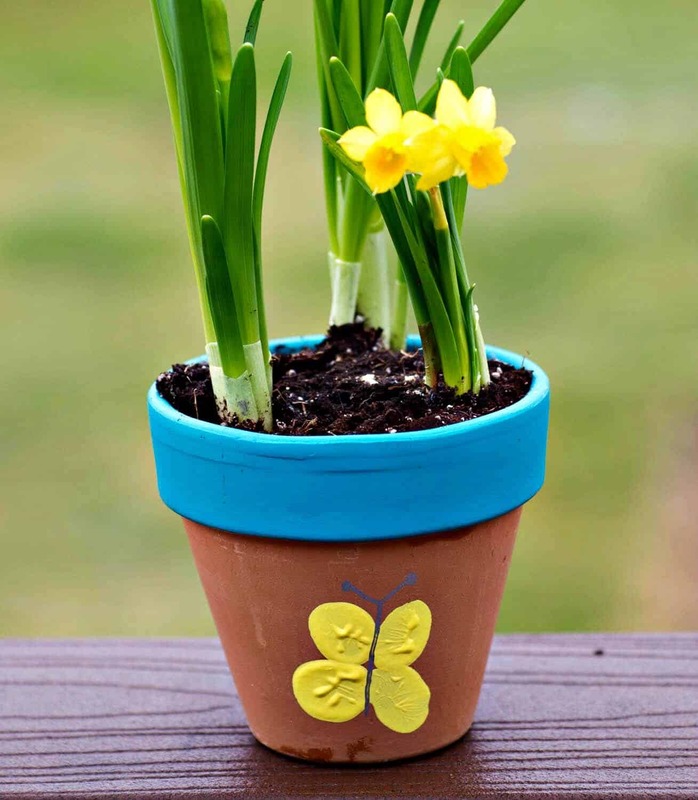 This activity is another fun educational activity that the kids will absolutely adore. 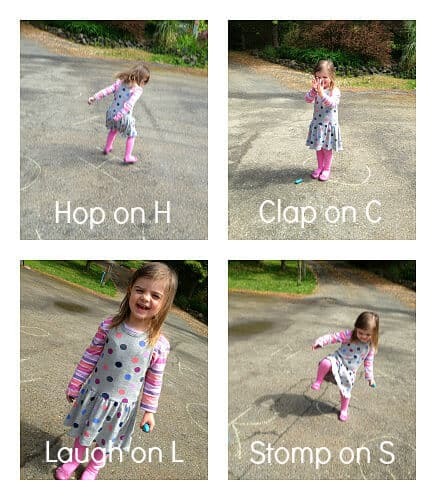 Help them draw out letters on the sidewalk, then have them do an activity that begins with each specific letter, such as the examples in the photo below! Last, but certainly not least, we have a fun game for the smaller children. 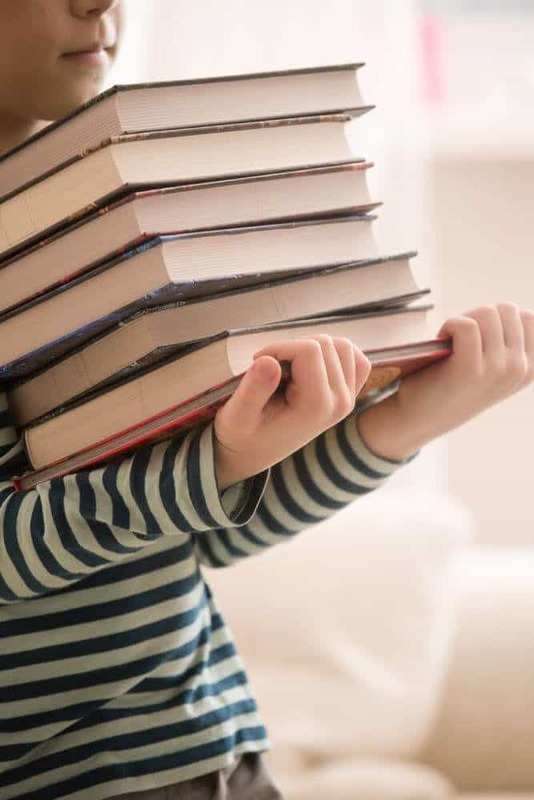 Teach them how to spell their first names with this fun activity! 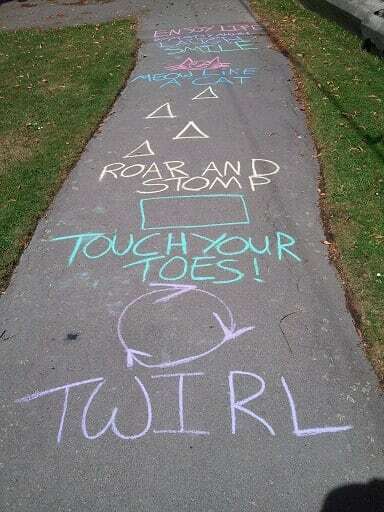 Just like hopscotch, but with the letters of their name, instead! By day’s end, they’ll want to show everyone how they can now spell their name! 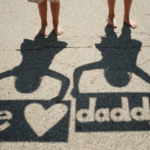 Next article 10 Heartwarming Handcrafted Father’s Day Gifts That Dad Will Never Forget!